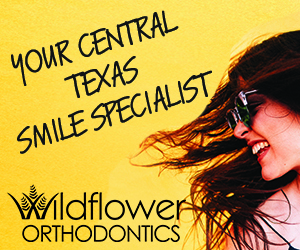 Texas has always been one of the most culturally and economically diverse states in America. As one of the best places to visit, with great food, plenty of entertainment events, and an affordable yet quality-rich lifestyle, the Lone Star state has it all. But an influx of millennial talent from across the country has Texas’s largest metropolitan cities transforming their fashion trends. No longer are Texans simply exemplified by cowboy boots, big belt buckles, or country dresses. Women are more chic and trendy than ever before, but ladies have always been ahead of the curve in this respect. Surprisingly though, men have been catching up in recent years. In fact, this trend isn’t just unique to Texas – men across the country have become more fashion-conscious as online retailers cater more to their needs. And while every guy wants to look and feel good, not all want to invest the time or money keeping up with the latest trends. Fortunately, there is a cheap and easy way to look stylish. Sometimes all a guy needs is a cool men’s haircut to rejuvenate his sense of style and become a new man. From hipster haircuts to classic gentleman styles, modern hairstyles have become a cornerstone of style for guys. If you haven’t changed or updated your haircut in years, it’s time to find a new cut that flatters your face. But what are the best hairstyles for men right now? If you’re a typical guy who doesn’t want to sift through tons of pictures of male models to find a hot look, you’ll be pleased to know we found an incredible guide. 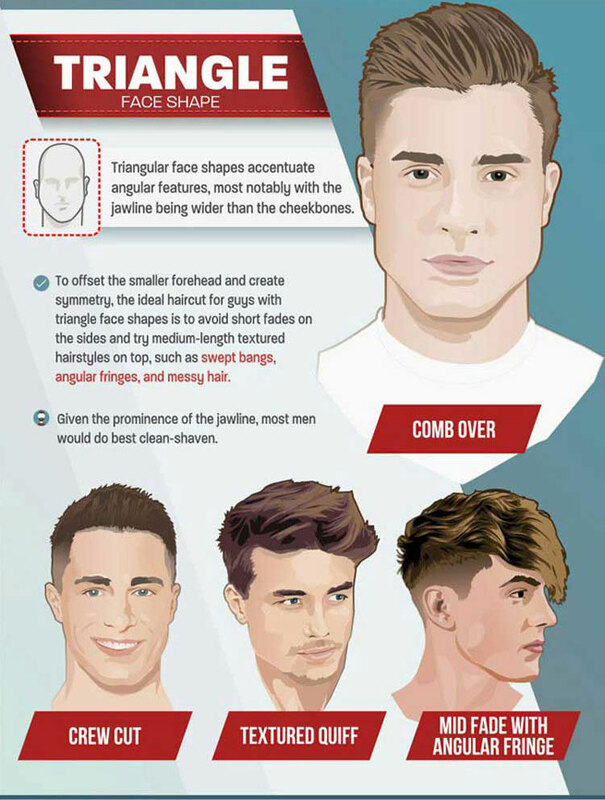 These hair experts have developed a comprehensive resource on the coolest cuts and styles of 2018 based on face shape. Because not every look goes well with every guy, it’s important that guys pick the right haircut based on their facial features. 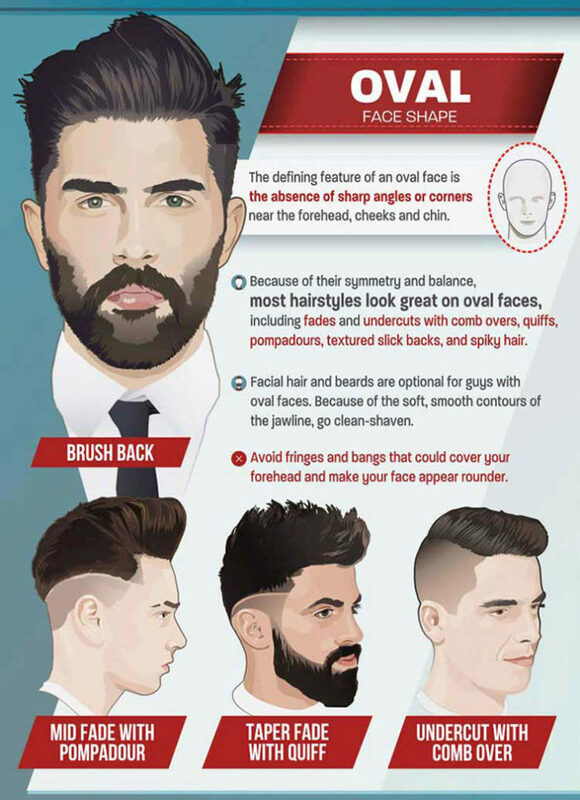 This means that men with oval face shapes should try fades and undercuts on the sides with longer hair on top, including quiffs, pomps, slick backs, and textured spikes. 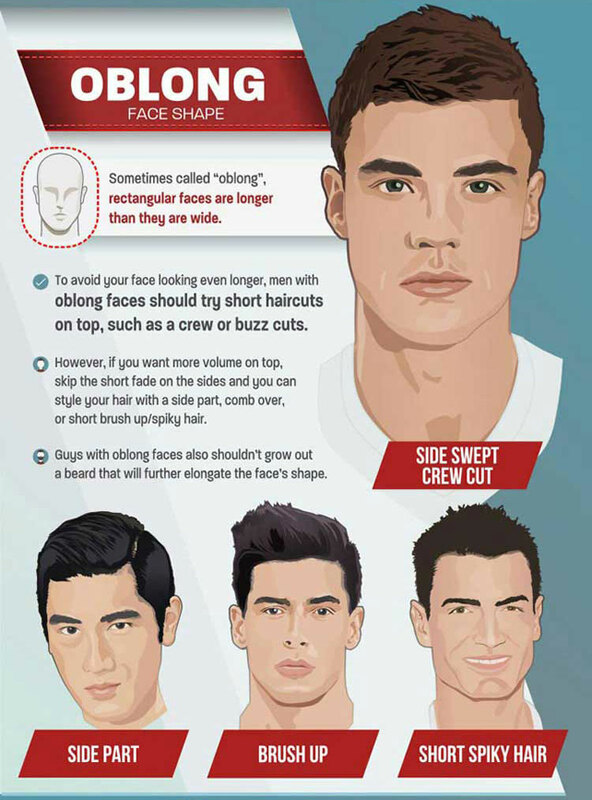 On the other hand, guys with long faces are better off with short haircuts on top, such as buzz or crew cuts, that don’t further elongate the length of their face. Furthermore, oblong faces probably shouldn’t grow long facial hair. The guide goes on to provide hair recommendations for all the different face shapes. Check it out below for suggestions on the best men’s hairstyles for you according to your features and look!